Valentina Riches : What's in my Diaper Bag? 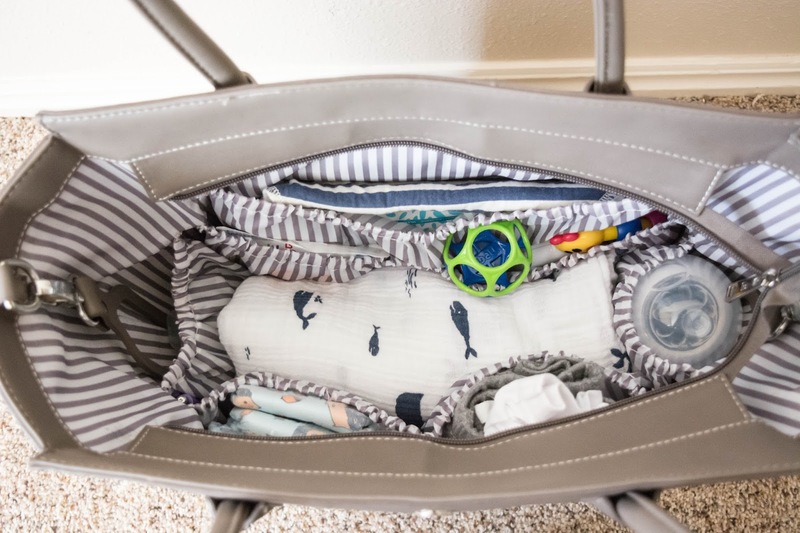 It's seems like when your a mother that diaper bags can been filled from the most necessary items to items you Never thought to put in a diaper bag. Having a baby and going out with my little boy has made me make sure that everything I could possibly use or benefit my son he would be content while being out and running errands with mom until we arrive back home. Today I'm sharing what's in my diaper bag that not only I believe are the essentials but also items I've bought that have helped me out a ton!!! To start off I'm in love with my diaper bag! 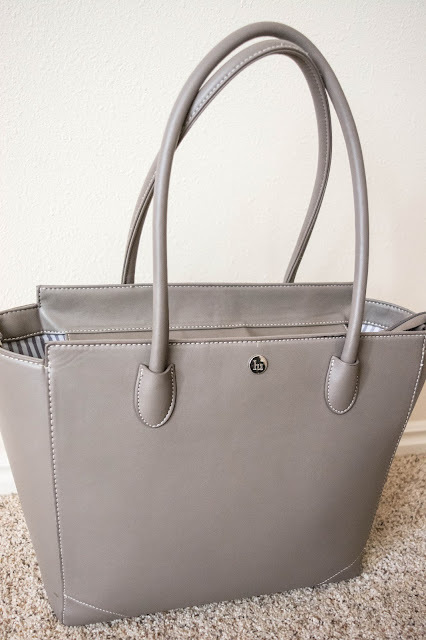 The Brooke Tote in the color Taupe from Little Unicorn is one I highly recommend! I would honestly use this beauty as an everyday purse just because it can hold so much but still be used for any look or any occasion! It has 8 total pockets and the leather is great quality. It also had a i pad pocket that I use to store masons extra clothing in case of an emergency and includes a changing bag with stroller straps! 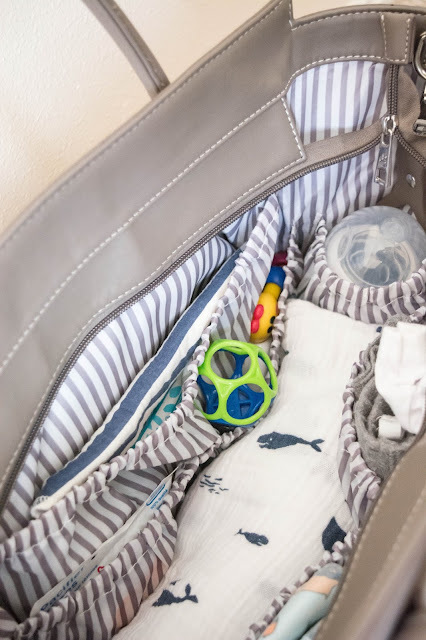 What I pack in my diaper bag depends also on how long I will be out and about but here are my essentials and my must have items that I hope help any mother to be or present mommy will help out! The first thing I pack are of course diapers and wipes! Remember if your gone for 2 hours or more, pack extra diapers because believe me your baby will one day have a poopie that will come out of his or her diaper and will be all over their back, but hey if your baby doesn't do that while out then still bring extra diapers just in case baby needs them! Speaking about having a huge accident, I always remember to pack an extra set of clothes for mason! Ladies this is an essential especially if your baby poops through his diaper (odds are it will happen once)! If I'm running errands for 2 hours or more and I know mason may get hungry while out then I go ahead and pump quickly so he can have food on the go. Now If I'm going to a wedding or an event with my baby then I make sure to include my nursing cover (If I didn't bring a bottle of milk with me), so I can also feed baby on the go. The Nursing cover I have is one of my favorite essentials because its a 3 in 1. That means it can be used as a nursing cover but also as a Carrier Cover for those sunny or cold days, but also a a shopping cart cover once mason starts sitting in carts! Some other items I include are a few toys for Mason since he recently discovered his hands and love putting them in his mouth but also likes touching little books with sound affects, rattles, and toys with lights which he can stop staring at! I include a few extra pacifiers just in case if one gets dirty and I have a back up. Something I've learned about being a new mother is that there is a lot of germs every where!! Which means I bring plenty of antibacterial wipes and pacifier wipes. Now since Mason has started putting his whole fist in his mouth he has started to drool like no other, I don't think he's teething yet but I bring a bib so he doesn't drool all over his clothes. Now since it's getting cold I pack a warm blanket in case we use the stroller and he needs something extra warm covering him up. But really that's about all I bring in my diaper bag and keep me prepared for when I run errands. I love being a mom and everything it includes! 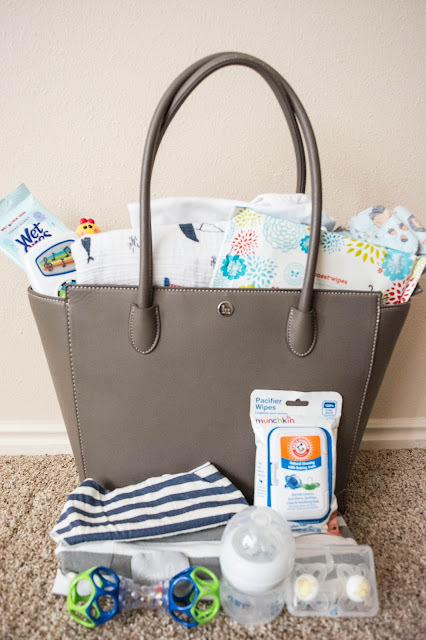 I hope this helped moms or mothers to be on what I like to put in my baby's diaper bag or what I feel like is great to have but you never would of thought to put in it! Until next time!